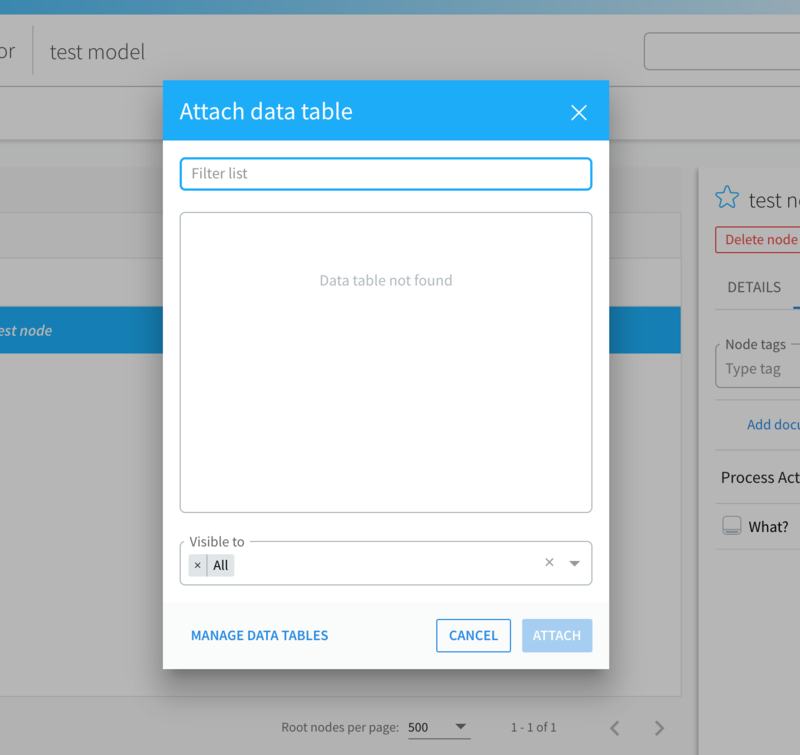 Data table is a fully-customizable form you can attach to a process activity, requirement, story, reference model node or salesforce org model node to capture any additional information you want. Once attached, data table attachments allow editors and viewers (subject to setting) to add multiple records that you can later report on to produce a filterable spreadsheet of data where each record added to any item is a single row. Data tables are perfect for capturing pain points, key performance metrics, risks, opportunities for improvement, process controls, waste, bottlenecks, external integrations, data relationships - this list is only limited to what information you would find valuable to capture. To create and edit the data table form you need to have an appropriate permission within a space. 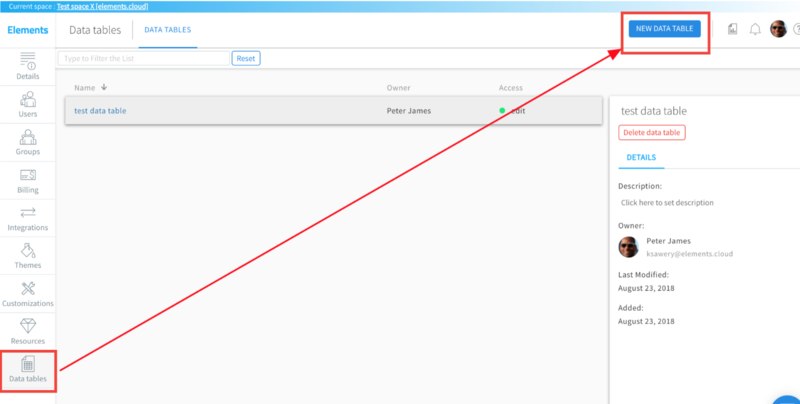 Then go to the "Manage Spaces" page and select Data Tables from the left menu. Alternatively, when you discover you need a new Data Table (or edit the existing one) select “Manage data tables” in the attach data table window to jump straight into the data table list. Click on New Data Table button to create a new one, or select an existing data table from the list and click on Switch to Edit Mode to customize it. Define the fields in the data table by dragging and dropping fields onto a form. The form is what end users will use to add records. First the editor with the appropriate permission must attach the data table to a process activity, requirement, story, or model node. To do that select the LINKS tab for a requirement, story or process activity, click “Add links” and select the “Data table” option. Alternatively, use the right-click to use the context menu for an activity and select the same option there. 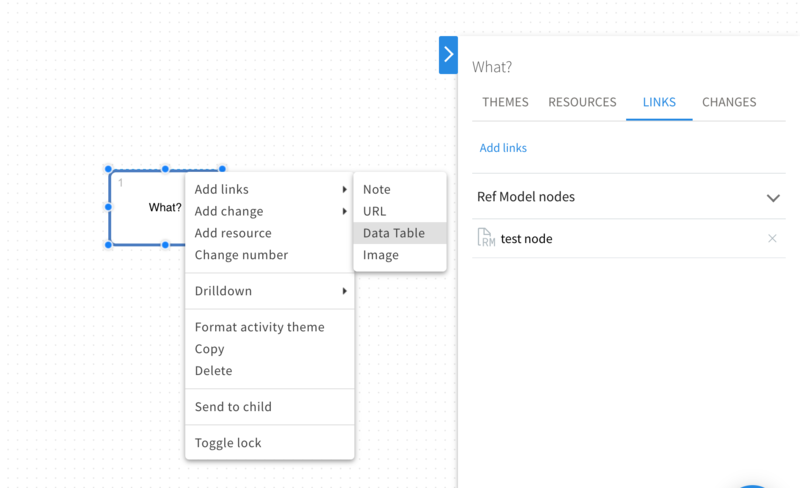 For a model node use the DOCUMENTATION tab in the right panel or the right-click context menu to add a Data table. Select the data table form you want to attach. 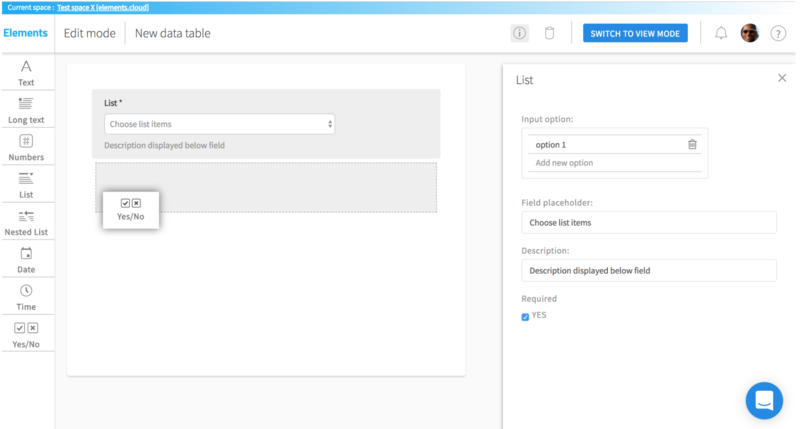 You will now be able to start adding records, using the previously customized form, for this particular requirement, story, model node or process activity. You can also select whether viewers can add records to this attachment using the switcher. You can turn on/off this setting at anytime unless the data table attachment was part of a published diagram. 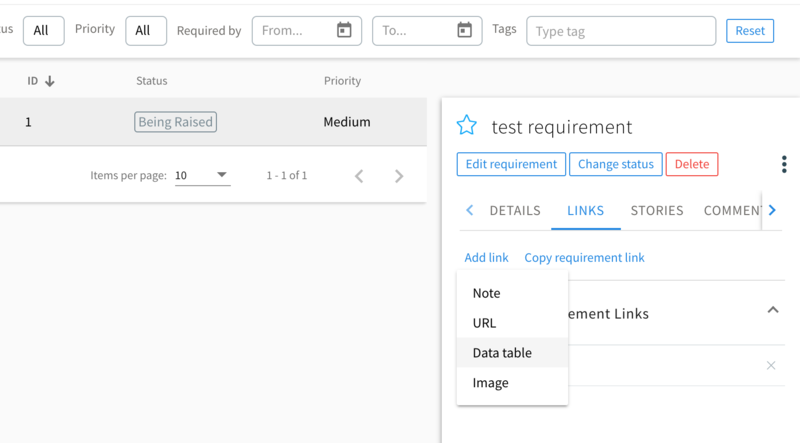 At any point you can report on any data table in the scope of filtered requirements and stories, displayed model nodes and diagrams and its lower levels to generate a filterable spreadsheet.